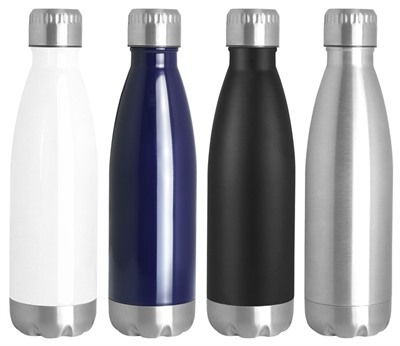 500ml Double Walled Bottles are some of the hottest promotional products today. Not only they look appealing, but they are useful as well. These drinking bottles are delicately made of stainless steel with tough construction and plenty of spacing for your printed decoration. They also have a generous capacity of 500ml and can hold either hot or cold beverage, which is perfect for travel. Available in black or white colour with silver trims.